Emma wakes up to Killian calling Milah&apos;s name again, and quickly buries - more like smothers - her face into the couch cushions; It feels like she just closed her eyes minutes ago, her mind foggy with sleep and she just wants him to shut the hell up. Then she remembers the fever... And the fact that he&apos;s over there probably hallucinating, some horrible nightmare which makes guilt flood her system for thinking that. But he doesn&apos;t stop, so begrudgingly she rolls out of bed leaving behind her heated cocoon turning on the lamp set atop the bedside table. She carefully leans over him trying to figure out how to calm him without waking him up. "It&apos;s okay-" she whispers lamely, mentally face palming herself. Then he startles her making her jump back. Her green orbs wide and lashes fluttering with shock when he sits up abruptly, wincing in pain. His breathing coming in shaky gasps. 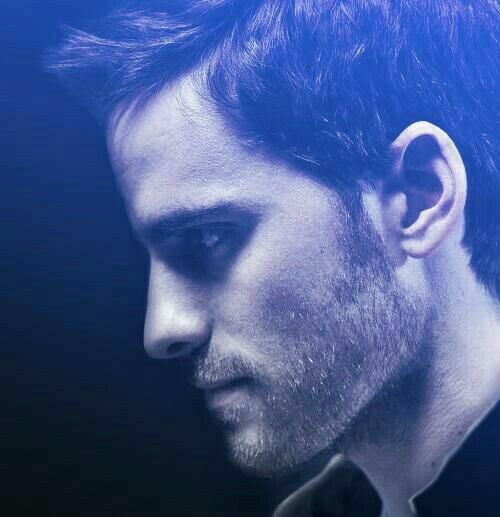 "Everything&apos;s alright Killian, just calm down..."
"What are you doing?" He asks breathing heavily, probably referring to the fact she was leaning over him while he was &apos;sleeping&apos;, she thinks. But then she belatedly realizes her hand is securely resting upon his shoulder. "I was trying to sleep", Emma says being obvious before removing her hand so quick as if he burned her. "That&apos;s not what I meant" He quipts rubbing at the nape of his neck and Emma sighs. Removing herself from his side, she turns off the lamp and goes back to her calling bed. Once she gets settled under her blankets, the warmth overtaking her chilled bones. Minutes go by and she eventually dares to break the silence. "Who&apos;s Milah?" Her voice barely squeaks out, curiousity getting the best of her. 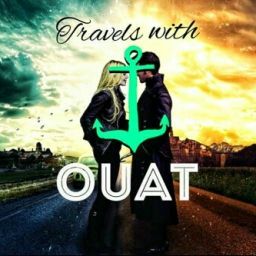 Emma had met him less than two days ago, and already she desperately wants to figure him out, to solve the puzzle of Killian Jones. His voice cracks when he goes to answer her. "Someone I care very much about..."
Even through the quiet of the night and the darkness of their room, she can hear him struggling to continue. His face hardens, sadness clouding his features "My piece of advice to you love, is don&apos;t fall in love with somebody already taken." Killian tells her. Though he&apos;s talking about his Milah, it also sounds like he&apos;s trying to tell her not to fall for him. At the first sign of trouble she throws up every wall possible. "Relax; As soon as your able to walk, you&apos;ll be walking on your way right out of here." She explains to him for the first time, Deciding to just lay it on him. Not even sugar coating it in the slightest. "You mean split up?" "But, Why now lass? Have I done something to upset you, Emma?" She turns her back on him, flipping over onto her other side, facing into the couch. "Its not you, I just.... I can&apos;t take a chance that I&apos;m wrong about you"... "And I think you should leave before anything else happens." She whispers the last part quietly, not sure if he heard her. Here she goes again, the typical Emma Swan. Pulling away first before she&apos;s the one to gets pushed. It&apos;s her protection, but she doesn&apos;t know what else to do or if she could survive being broken again. "As you wish." 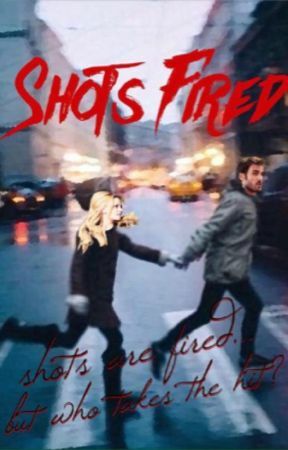 Killian mumbles respectfully while Emma is Trying to ignore the painful twisting in her stomach at the thought of the two of them parting ways, a lone tear slips down the contours of her face, wetting her blanket. "So uh, you say Milah had a boyfriend huh?" Emma asks distracting herself from the nausea setting in the pit of her stomach. Killian doesn&apos;t respond for several minutes, leaving Emma to wonder if he actually fell asleep. "He was her husband." Killian simply corrects. She can hear him forcing each word out by sheer will power.